John Maymon is a Portfolio & Servicing Specialist who has spent the last seven years servicing loans in both commercial and private banking roles. His work at Q2 Business Capital will include managing the servicing desk and assisting borrowers with any needs or questions about their loans. Prior to joining Q2, John worked at JPMorgan Chase where he serviced the commercial bank middle market clients, supporting borrowers with loan documentation and gathering financial information for annual reviews. In this role, John provided exceptional service to both his external and internal customers. 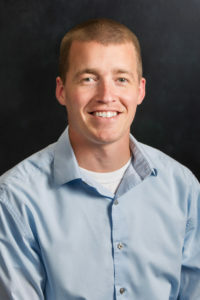 John graduated from Indiana University Southeast in 2010 with a double major in Finance and Economics. Recently he received a Graduate Certificate from IU in Business Analytics. As if his prior academic achievements aren’t enough, he carves out time away from the office to take classes in R and Excel. When John isn’t advancing his professional skills, he enjoys spending time with his family in the great outdoors camping, hiking and boating.